After initially training in Adelaide, Lucinda graduated from the Victorian College of the Arts in 1991 and was subsequently awarded the Willem van Otterloo and Nickson Travelling scholarships to pursue postgraduate studies in baroque violin. She undertook two periods of study at the Royal Conservatorium in The Hague with Sigiswald Kuijken, graduating in 1995. The following year Lucinda was a prize winner in the Bruges Early Music Competition with Les Quatre and began her collaboration with the Stockholm-based trio, The Musicke Roome. The group toured Sweden, Germany, Mexico and Australia. Lucinda has recorded and performed with early music groups in Australia including the Elysium Ensemble, Chacona (Newcastle), Adelaide Baroque, Salut! Baroque, Latitude 37 and Accademia Arcadia. She has appeared in many Australian Festivals, and in 2015 she was soloist with the Adelaide Symphony Orchestra. 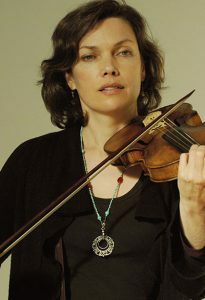 As concertmaster of the Australian Brandenburg Orchestra from 1995–2008, Lucinda led the orchestra through its national and international concert series and numerous recordings. She has also performed as guest concertmaster and soloist with the Pacific Baroque Orchestra, Vancouver, and with The Orchestra of the 18th Century in the production of Jean-Philippe Rameau’s opera Les Indes Galantes in Poland and the Netherlands.